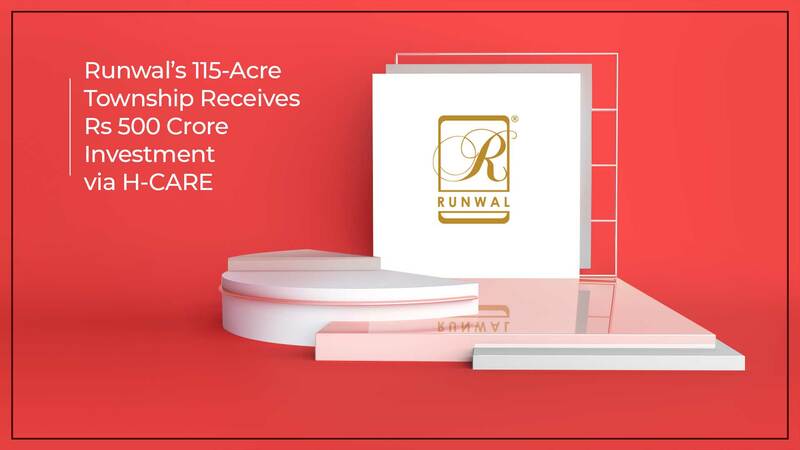 Runwal Group’s 115-acre township project in Dombivli has gotten an investment of Rs 500 crores by HDFC Capital Advisors. The company is investing the mammoth amount via its affordable and mid-income housing investment sister company HDFC Capital Affordable Real Estate (H-CARE). This move by HDFC Capital will surely give a boost to the project. A source confirmed the news. “The investment has been made with a combination of equity and structured funding,” the source said. Runwal Residency, the sister company of Runwal Group, is the one developing the mixed-use project. The land for the ambitious project was purchased from Gammon India. The total area of the project is 13 million sq ft and work on it is slated to finish in phases within the next 10 years. As of now, approvals for the project are being sought by Runwal Residency. Subodh Runwal, director, Runwal Group confirmed the news. According to him, the company’s earlier collaborations with HDFC PMS (Portfolio Management Services) met with lots of success. In fact, Runwal Group’s project Runwal Greens gave HDFC the highest equity returns in India. HDFC PMS had granted Rs 500 crore in two Runwal Group projects Nepean Sea Road and Mulund. The capital giant had then exited the Nepean Sea Road and Mulund projects with a return of 24 percent and 68 percent. “We are now excited to work together on this affordable housing project,” Subodh added. In 2018, HDFC Capital created a platform worth Rs 2,500 crore for the sole purpose of investing in affordable housing projects in India. HDFC Capital is targeting established grade A developers so that they can venture into affordable and mid-income housing projects. This move ensures two major positives for the industry: a rise in the supply of affordable homes and improved quality of construction for residential projects.